Patriots Are Still Fighting for America – Will you join the fight? This is the first time in my lifetime that I honestly do not see freedom continuing to be a part of life in the U.S.A. It seems to me that most younger citizens today do not realize the value of freedom or just how close citizens are to losing the freedoms granted by our constitution. By all appearances, young Americans seem to take freedom for granted. Many do not make the connection between the constitution and liberty. When the powers that be do not respect these rights and liberties as they are written, we are in danger of losing them. Some people today appear to believe that politicians have citizens best interest at heart and because they believe this, do not ‘feel’ we need a constitution to protect our liberty. Watching the fiasco in Washington D.C. as both parties play politics while watching the nation head toward what THEY describe as a “fiscal cliff” should be enough to convince some that politicians are all about two things – power and money. If that doesn’t convince one, consider what happened in this country in 2009 when middle class citizens united in a common cause to help one another keep government spending low so that taxes could be kept low. Had the TEA Party been more successful, there would not be a fiscal cliff at this time. 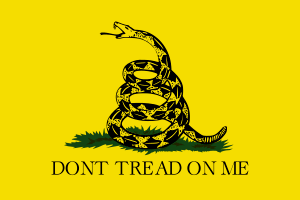 No group has been more maligned, attacked or deliberately misrepresented than the TEA party. Why? Is it because politicians are worried that their tax and spend agendas would be endangered if T.E.A. party patriots were successful? Were many afraid they could never win re-election and so they began a deliberate attack against those who attended T.E.A. party meetings? Politicians began the campaign against citizens who attended the meetings and soon the press joined them. Not long after that many left-wing nuts took up the cause and together these were able to turn many American citizens against a group who could have done so much good for this country. When those who believe in tax and spend big government saw how the movement began to catch on with middle class America, liberals brought out their ‘big guns’. Obama, himself, joined the effort to destroy the group by calling these citizens derogatory names. Still, the T.E.A. Party has survived, just not as strong due to the defeat and corruption experienced on November 6th.. In this post, I would like to encourage citizens who voted for conservatives, or those who just did not vote in this election to consider joining the T.E.A. party movement. The truth is that T.E.A. Party Patriots offer a glimmer of hope in what looks like a very hopeless situation for our country. Please do not allow the derogatory names or the fear of being called racists stop you from looking into your local group. Some on the left even went so far as to accuse members of using Taliban tactics. Nothing could be further from the truth. The name simply means Taxed Enough Already. Tea Party Patriots is a grassroots organization. The beginning of the movement is described for us on the website. The site also has a page for groups from each state. The goals of the party are simple. In addition to taking a stand against high taxes, T.E.A. supports Fiscal responsibility, constitutionally limited government, and free markets. One would think that most Americans support these goals. Another movement that is getting some traction is called Freedom Works. Founded in 1984, FreedomWorks is headquartered in Washington, DC, and has hundreds of thousands of grassroots volunteers nationwide. Matt Kibbe is the President and CEO. FreedomWorks members know that government goes to those who show up, and are leading the fight for lower taxes, less government, and more freedom. The movement could be revived if we are willing to continue even when maligned. This is what the early patriots did! This entry was posted in Freedom, Politics, Tea Party Movement and tagged Barack Obama, FreedomWorks, Matt Kibbe, Tax, Tea Party Patriots, Tea Party protests. Bookmark the permalink.